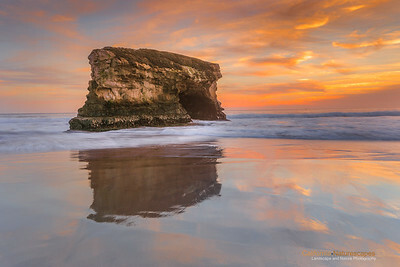 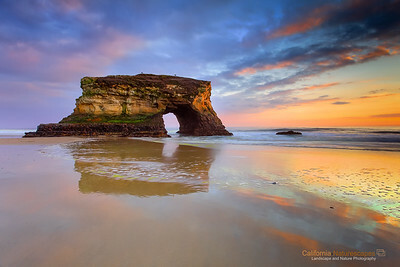 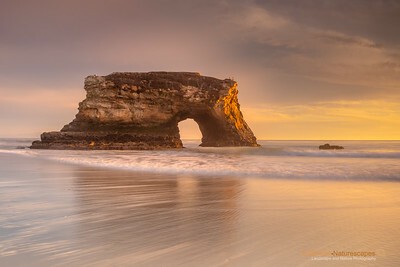 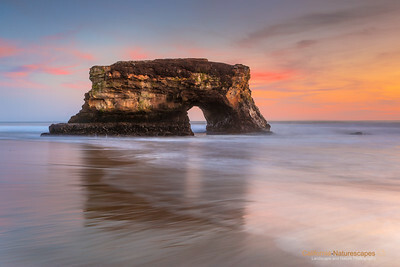 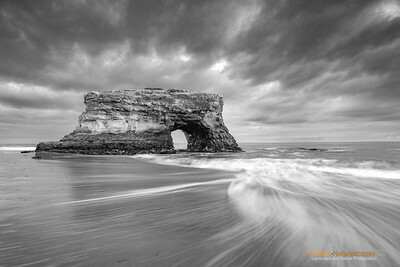 This is the last natural bridge standing along the shores of Natural Bridges State Beach in Santa Cruz. 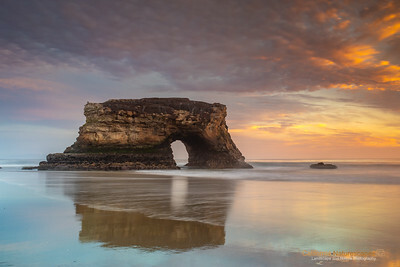 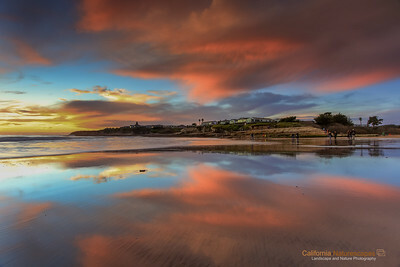 I have been photographing at this spot for years and what I found most difficult was to get a good combination of evening light and radiating clouds that would complement this natural wonder. 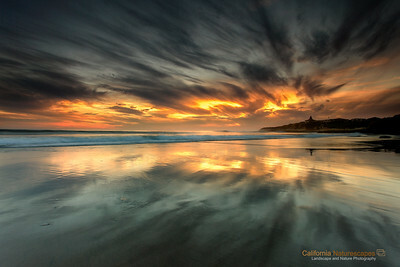 On this particular day the clouds were spectacular. 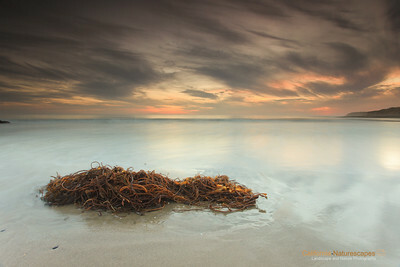 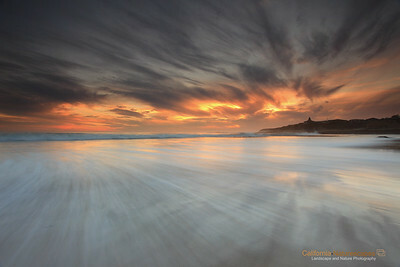 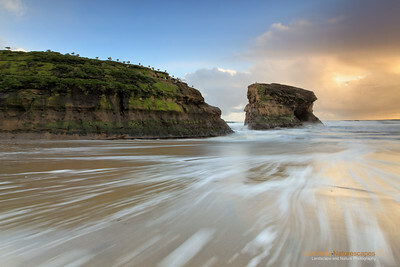 I further emphasized the mood of the scene using slightly long exposure to capture motion of the receding waves.